Spider-Man PS4 Skipping The Game Awards and PSX | Nerd Much? If you’ve been looking forward to some Spider-Man PS4 news this weekend, you have our deepest condolences. The webhead will be skipping both PSX and The Game Awards. 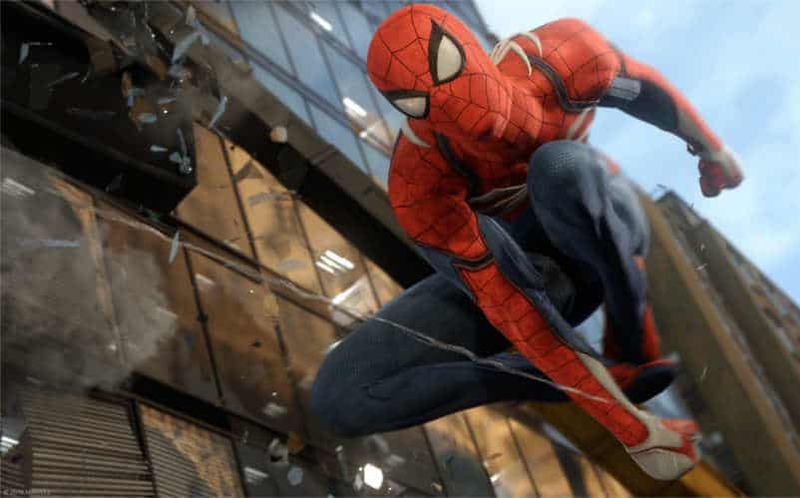 Developer Insomniac Games turned to Twitter to break the bad news. “Hey, web-heads! We’re not showing new Spider-Man PS4 content at PSX/The Game Awards, but we’re hard at work on cool stuff to share in 2017,” read the tweet. While this wasn’t what we wanted to hear this morning, our hope is that there is something even bigger to fill its void. A lot of big gaming reveal are coming. Spider-Man PS4 was first unveiled at E3 2016 during Sony’s press conference. This isn’t some movie tie-in either. The PS4 exclusive will feature an older, more experience Peter Parker in the open-world setting of New York City. Sadly, all we know is what was shown in the trailer below. Already this is enough to get us excited. If there was ever a Spider-Man game to capture the magic of Spider-Man 2, this is it. We just wish we knew a little bit more. With Nintendo Switch and an assortment of games coming in 2017, we can already tell it’s going to be a good year. Just one more month.